We all love to ride…that’s why many of us own an ATV or side-by-side, but the beauty of these vehicles is they work just as hard as they play, and with spring just around the corner, it’s time to get ready for spring chores. We were reminded of this fact by our buds at Polaris who shared with us some sweet tools that will help you do more in less time around the yard or in the garden this spring. Check them out here and then visit your local Polaris dealer for more details. DISC PLOW: The wide 54-inch swath will bust up the ground in your backyard and have you planting potatoes and corn for a summer harvest in no time. UTILITY SPRAYER: Knock down those weeds before they start or later this summer keep them at bay in your oversized garden with an adjustable, high velocity sprayer. 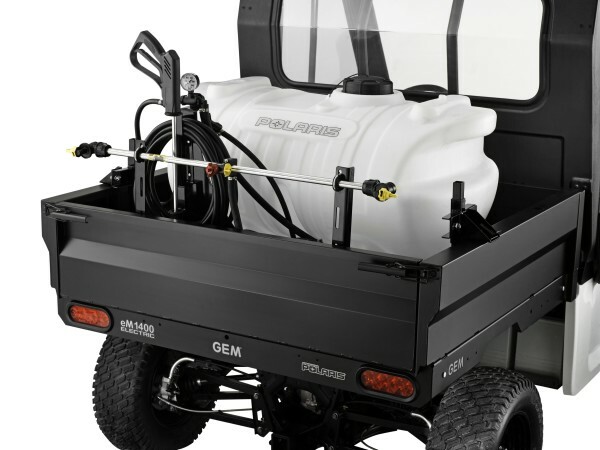 Choose from a 60-gallon boomless unit or a smaller 40-gallon model with adjustable boom. MATERIAL SPREADER: Spread seed, fertilizer or whatever with this electrical high volume spreader that does the job fast so you can ride sooner.